Please select a tab below to see the staff for that I.P.C. department. Safe Zone: this image denotes persons having gone through Safe Zone Training. As the Associate Provost for International Programs, Penelope leads the internationalization efforts at UNCG. Since 1995, she has worked to promote student/faculty exchange at UNCG and in the state. She piloted the Baden-Württemberg state-to-state program, which led to the establishment of UNC’s system-wide exchange program housed at UNCG. In 2005, she represented the UNC system in an administrative exchange at the Ministry of Science and Arts in Baden-Württemberg. Penelope facilitates diversity and intercultural workshops on and off campus to prepare faculty and students for successful experiences abroad. She is a former Fulbright scholar to Heidelberg, Germany, and was awarded a Rotary Club Study Exchange Scholarship to Norway. She earned her master’s degree from the University of Alabama and a doctorate in Germanic linguistics from the University of North Carolina at Chapel Hill. LaToya completed her BA in English at UNCG and soon after graduation became an employee with the university. After working in UNCG's School of Nursing for 10 years, she recently transitioned to the International Programs Center in June of 2015. She is passionate about social justice and equality, global citizenship, and environmental issues. Her favorite icebreaker conversations involve offbeat films, influential literature, and delicious recipes. She is interested in continuing her education with a Masters degree in Library Science or English in the near future. She welcomes the opportunity to interact and engage with students, faculty and staff from across the university and the world. The office of Study Abroad and Exchanges is here to help you discover the many options that will enhance your educational experiences. Through partnerships with other institutions around the world, we develop a myriad of exchange opportunities. We provide support to international exchange students who have chosen to study at UNCG. We invite our students to broaden their perspectives. We open doors to new adventures for exchange students here at this university and for UNCG students ready to meet different cultures outside the United States. Denise is currently serving as the Senior Director, IPC and Director of Study Abroad & Exchanges. She joined the IPC team as the Assistant Director of Study Abroad and Exchange Programs in June of 2007. As a military dependant, she spent her childhood traveling and continues to have that same passion today. She holds a Masters of Education in International Higher Education Leadership (Emphasis in Multicultural Counseling) from Old Dominion University and a Bachelor of Science in Mechanical Engineering from North Carolina A&T State University. Denise enjoys encouraging young people to think, learn, and experience life globally! Tom has been working as the Assistant Director of Study Abroad and Exchange Programs since January 2004. He is a former student at UNCG and during that time participated on an exchange program to the University of Oulu, Finland. He also participated in a Rotary Group Study Exchange program to Germany in May 2005. Tom holds a Master of Arts degree in Conflict & Peace Studies and a Bachelor of Science degree in Anthropology. Contact Tom about: anything related to US students going abroad. Monica double-majored in Communication Studies and French Language here at UNCG, where she continued her French studies with an M.A. before beginning her Ph.D. at UNC-Chapel Hill (anticipated graduation 2019). She participated in study abroad during each leg of her educational journey, beginning with a summer study as an undergraduate student, continuing as a master’s student abroad, and completing a full-year teaching exchange more recently. She’s passionate about language acquisition, home renovations, and gardening. Contact Monica about: general study abroad questions. Heidi obtained her Bachelor of Arts degree in International Studies and French Language from Capital University in Ohio, studying abroad in Belgium and Tunisia. Prior to joining UNCG in November 2014, she worked internationally in event planning in Muscat, Oman, and domestically in nonprofit marketing and membership. She is currently pursuing her Master of Arts in the Peace & Conflict Studies program at UNCG. In her spare time, she serves as a facilitator for the Spartans in Dialogue program and is an avid Doctor Who fan. Contact Heidi about: creating/renewing a faculty-led study abroad program, participating in a faculty-led program, studying abroad, etc. Logan has been a Study Abroad & Exchange advisor at IPC since 2008. He attended his first NAFSA conference while working part-time at a local Greensboro coffee shop and with IPC. A UNCG graduate (’07 B.A. in Economics), Logan studied abroad at the Chinese University of Hong Kong. He has also taught English in Guang Zhou, China, and has a brother who lives and teaches in China. Logan loves to ski, his most favorite place he’s been to is Thailand, and he hopes to pursue a Masters in Geography at some point in the future. Contact Logan about: studying abroad, transfer credit for returning study abroad students, etc. Dee received her B.A. in Communication Studies from UNCG in 2009. She studied abroad to France in 2008, an opportunity that was a life- changing experience to a first generation college graduate. After interning in several study abroad offices, Dee worked at North Carolina A&T State University while completing her Masters of Science in Higher Education in 2014. She recently transitioned to UNCG in November and is thrilled to be serving the students of her alma mater. Contact Dee about: studying at UNCG as a J-1 exchange student from a partner university, or hosting a Friday Cultural Fest. The International Student and Scholar Services (ISSS) unit within the International Programs Center offers advising, visa services, and training to support our international students, scholars and faculty. We assist incoming and enrolled international students with U.S. visa and immigration matters and provide advising on how to stay in status throughout UNC Greensboro enrollment and through practical training periods (OPT). We’re here to guide J-1 scholars through compliance with all federal rules and regulations. ISSS can help you support, advise and maintain the status of your students and scholars. Originally from Ohio, Jennifer has lived in many cities across the United States. She came to UNCG after four years in Honolulu, HI to earn her Bachelor of Science degree from UNCG’s Bryan School of Business and Economics. She has been working at IPC in many different capacities since August 2008. She has always enjoyed traveling and learning about different cultures and languages. Her experiences abroad have included time spent in Brazil, England, Scotland, China, Spain, the Czech Republic, and Tahiti. Contact Jen about: undergraduate applications for international degree-seeking students, I-20/visa compliance matters, international scholarships, degree-seeking retention matters, and all other matters related to international degree-seeking students. Norma is originally from Mexico. For over 15 years, she has worked at the International Programs Center providing foreign students and faculty with services and programs that enrich their experience at UNCG and Greensboro. Some of those services include delivering guidance and support throughout the students and scholars’ journey at UNCG and the United States; providing information to university faculty and staff on the protocols for hosting international visiting scholars at UNCG; applying program knowledge in answering questions and handling difficult issues such as unexpected financial situations, medical emergencies and catastrophes in home countries; and connecting students and scholars with university and community resources accordingly. Norma’s dedication to the fields of student affairs, international education and academic instruction and passion for UNCG have also been established through her educational and personal interests. Those include studies in Higher Education Administration and Teacher Education with emphasis in Teaching English to Speakers of Other Languages to contribute to students’ academic and personal success in the United States. Norma holds a Master of Arts degree in Conflict and Peace Studies and a Bachelor of Science degree in Information Systems & Operations Management. She is passionate about topics related to language acquisition, student holistic development, visa compliance and multicultural affairs. 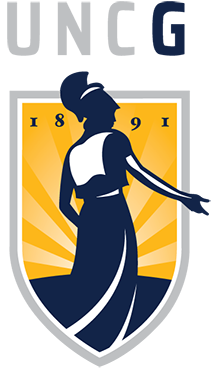 Contact Norma about: faculty wishing to host a J-1 scholar at UNCG, international degree-seeking student advising, international scholar advising. Stephanie has been serving in this role since 2018, but has worked in many capacities in IPC since her time as an undergraduate student. Her involvement as a student in IPC included serving as a Peer Advisor and Liaison (PAL) program coordinator, participating in the Global Leadership Program (GLP), hosting the IPC Photo Contest as a volunteer, and studying abroad for a year in Toledo, Spain, through one of IPC's many exchange programs. Her academic and personal interests include language acquisition and global citizenship, and she enjoys working in IPC as a way to further those interests. The UNC IRC (comprised of East Carolina University, Fayetteville State University, North Carolina A&T State University, North Carolina Central University, UNC Asheville, UNC Greensboro, UNC Pembroke, UNC School of the Arts, UNC Wilmington, and Western Carolina University) works to bring more highly-qualified international students to participating campuses by increasing awareness of the campuses in international markets and to assist campuses in building their capacity to ensure the success of those students. Having more international students on our campus can facilitate the ability of domestic students to work in diverse teams and appreciate cultural differences, helping them to develop intercultural competence that is valued by faculty and future employers. Graduating international students that choose to stay in North Carolina start businesses at roughly twice the rate of domestic graduates, and can fill important skills gaps in the state. International students who choose to return to their native country can be valuable ambassadors for the state. UNC-IRC Offices: 05 & 07 Brown Bldg. Catherine came to UNCG from Salem College. Catherine has been with UNCG for 15 years and at IPC since the summer of 2012, joining IPC after several years in the Bryan School of Business and Economics. She earned her doctorate from UNCG, MBA from the University of Nevada Reno, and BA from San Jose State University in California. Her experiences abroad have included an around-the-world trek, spending time in East Africa and Australia, and teaching MBA students in Germany. Lori joined UNCG as a staff member after completing a master's degree in peace and conflict studies. While working toward her degree, Lori focused on the ways in which international education connects to issues of peace and justice and served as staff writer and co-editor for eNewsworthy, IPC's enewsletter. Her varied international experience includes studying abroad as both an undergraduate and graduate student, working for a multicultural design firm in Sydney, Australia, teaching ESL classes, and supporting the refugee resettlement process in the U.S. Lori travels abroad as often as she can, including regular trips to Ecuador to visit her husband’s family. Global Engagement commits the University to delivering the necessary knowledge, skills, and attitudes our students need to engage effectively in the world community in the 21st century. With two decades of commitment to internationalization and many achievements over that period, Global Engagement marks a qualitative elevation of UNCG's longstanding commitment to global learning, moving it toward its goal of being a public institution that provides comprehensive internationalization for all of its students. Patrick possesses more than a decade of experience in the fields of English as a Second Language and International Education having held positions as a teacher, a teacher trainer, and an administrator. Curious about places and ideas, he has traveled to over 50 countries and spent several years living in Japan. He has presented at several national and international conferences including: English USA, TESOL, and NAFSA. He was a 2014 participant in the NAFSA Academy and a member of the NAFSA Region VI leadership team. He is also familiar with accreditation through his work as a site reviewer for The Commission on English Language Program Accreditation (CEA). Patrick holds a Bachelor of Science degree in Biology from Cornell University and a Master of Arts degree in Teaching English to Speakers of Other Languages from the SIT Graduate Institute. Anna Kristen Poteat is the Program Assistant for the Global Engagement Office. As the Program Assistant she oversees the unit’s business and fiscal functions, the day-to-day running of the office, including coordinating Global Engagement activities across campus and the assessment of those activities. She completed her Bachelor of Arts in Geography at UNCG in May 2017. During her undergraduate career she was involved in many areas of campus life such as orientation, leadership & service learning, intercultural engagement, and student government. Anna loves traveling and has spent time in France, Mexico, Germany, and in Ecuador where her family is from. She is currently working on a Master’s of Education in Student Affairs Administration in Higher Education at UNCG.